Katie Gahr, LMT is our top massage therapist at the Health and Healing Center. 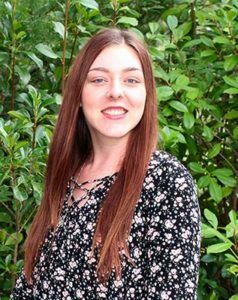 Katie’s focus is that each client receives the growth, awareness, and healing their mind, body, and soul needs from therapeutic massage. Katie received her massage therapy training at the Sedona School of Massage. The comprehensive knowledge and skills she acquired provide the highest quality experience possible. As a licensed therapist in the state of Arizona, she also has national certification from NCTMB, and is a member of the American Massage Therapy Association. She looks forward to working with you! Swedish Massage: Long, general strokes to promote relaxation. Encourages movement of fluids. Connective Tissue: Slow, specific techniques to alleviate pain or discomfort from chronic tension. Satisfying and relaxing. Hot Stone Massage: Allows the tissues to soften. Abdominal Castor Oil Pack: Forty-five minutes of warming therapy while the extremities are massaged. Abdominal massage follows warming. Neuromuscular Therapy: Specific, deep and therapeutic. Deals with the trigger points in the body. Hands and Feet: Castor Oil, Ice cup and hot towels for hands. Feet are soaked in a bath of warm Epsom salt water with your choice of essential oil followed by a hand and foot massage. Very pampering! Integration: Customized use of multiple modalities to achieve goals.